Lionel Messi is currently playing with Spanish giant Barcelona and since his youth career, he is playing with them. He made plenty of records in his club career and won almost all titles in club period. So, he is regarded as the best footballer ever by many. But no doubt he is one of the greatest of all time. Now before his team Barcelona will meet against Italian giant Roma in quarter final of UEFA Champions League, Lionel Messi is praised by Roma defender Kostas Manolas. To him, there is no way to stop Messi. The five times Ballon d’Or winner is simply unstoppable. Lionel Messi is the top player in his team and he is considered as the key player. With him, the team Barcelona seems invincible. He led his team Barcelona to the quarter final of Champions League. In the round of last sixteen, Barca played against English giant Chelsea and beat them where Lionel Messi played a vital role. So, with him Barcelona is much more dangerous. Though, LM10 has suffered from injury and this is why he failed to play last two matches with his national team. But in the last match with club Barca, he played against Sevilla. Coach grounded him after 50 minutes and he changed the result of the match by scoring the even goal. In UEFA Champions League at the quarter final of first leg, Italian Roma will face Barcelona at the Camp Nou in next Wednesday at night. Barcelona is in great form in la Liga and holding the top position on the point table. They are going to reclaim their La Liga throne where their nearest opponent Atletico Madrid is still 9 points behind than them. Lionel Messi has led the team to the great achievement and he is also in great form. 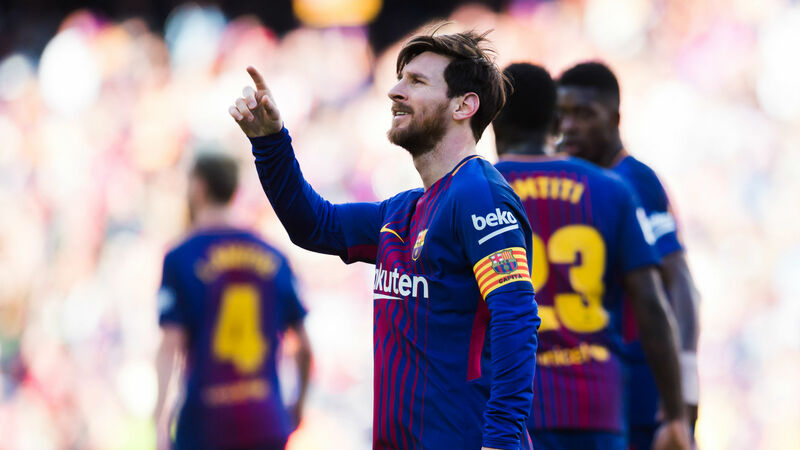 In the ongoing La Liga, Messi has scored already 26 goals and successfully assisted 12 more times. In recent time Manchester City coach Pep Guardiola stated that LM10 could not be stopped and now, Roma defender has agreed with him. He stated that Guardiola is right. There is no way to stop Messi. If someone does succeed, then they have to face ten more dangerous players. In Barca, there are something more excluding Messi he believes. So, Roma has to show their best. In 2015 November at the round of last sixteen in Champions League, Roma faced Barca. At the home venue of Roma, the match finished with draw with 1 – 1. But at the Camp Nou in returned leg, they faced defeated by 6 – 1 goals.